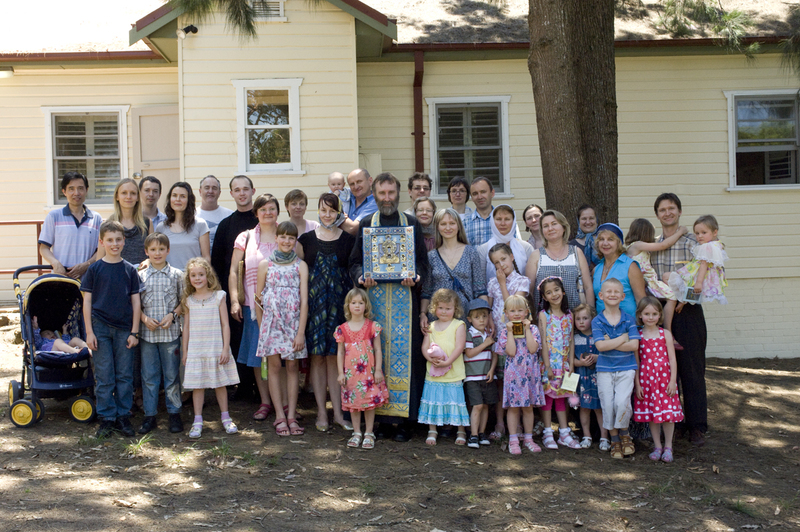 In recent years, a great many young Russian families have settled in the Hornsby Shire on Sydney’s northern fringe. Forging strongs friendships amongst themselves, these families have also gravitated towards the parish of Saint Panteleimon in Gosford, becoming active there in parish life. 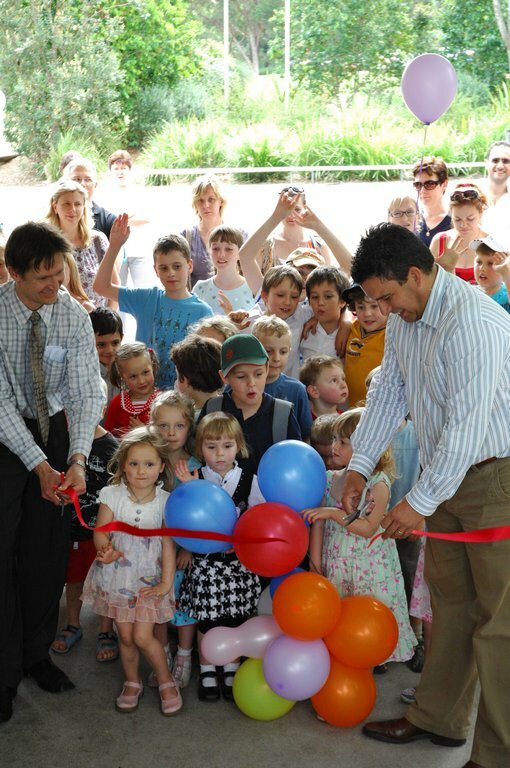 The young parents there have for some time considered the possibility of a Russian language school in the Hornsby region. 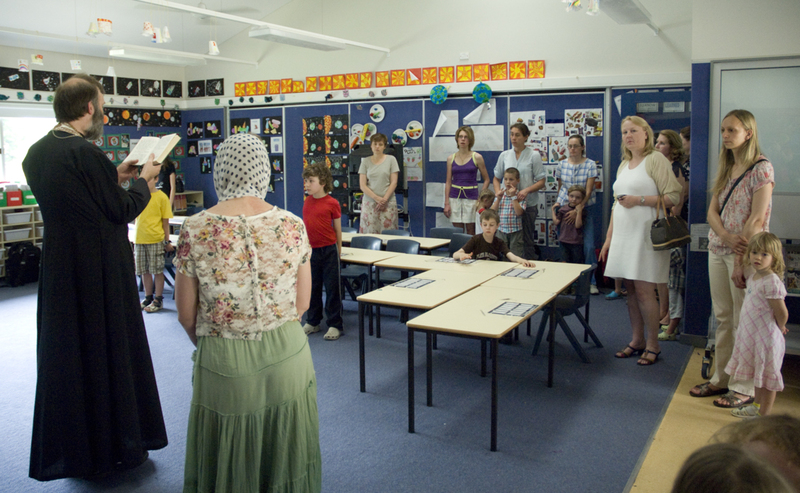 Their hopes became reality when, with the blessing of Metropolitan Hilarion, the Saint Seraphim Russian Community School commenced lessons at Mount Colah Public School on Sunday 13 November 2011. Prior to classes beginning, Hornsby mayor Nick Berman cut the ribbon with representatives from both Russian (“Edinenie”) and English (“Bush Telegraph”) newspapers in attendance. On Saturday 19 November the Kursk-Root Icon of the Mother of God visited the region. The Rector of the Gosford parish, Priest James Carles, travelled to the Diocesan Chancery at Croydon early that morning, together with Reader Christopher Dowling, to receive the icon. 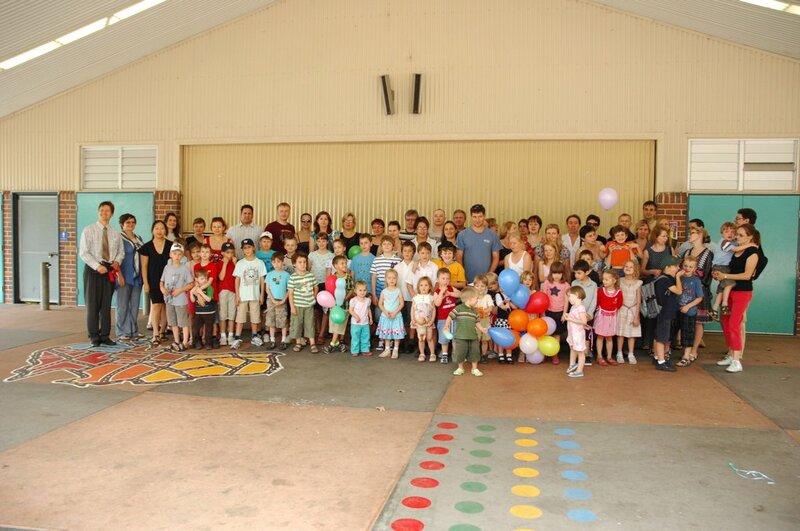 It was then taken to the Mount Kuring-gai Community Centre where approximately 40 people had gathered. The icon was greeted with the singing of the troparion “Яко необоримую стену” (“Having obtained thee as an unassailable wall”) and afterwards a moleben and akathist were served. The choir there sang beautifully under the direction of Maria Zaitseva, the conductor at the parish of Saint Vladimir, Centennial Park, a friend of the Gosford parish through her involvement in parish camps. There was a “cup of tea” afterwards for those able to stay, and many took the rare opportunity to pray quietly in the presence of the icon. 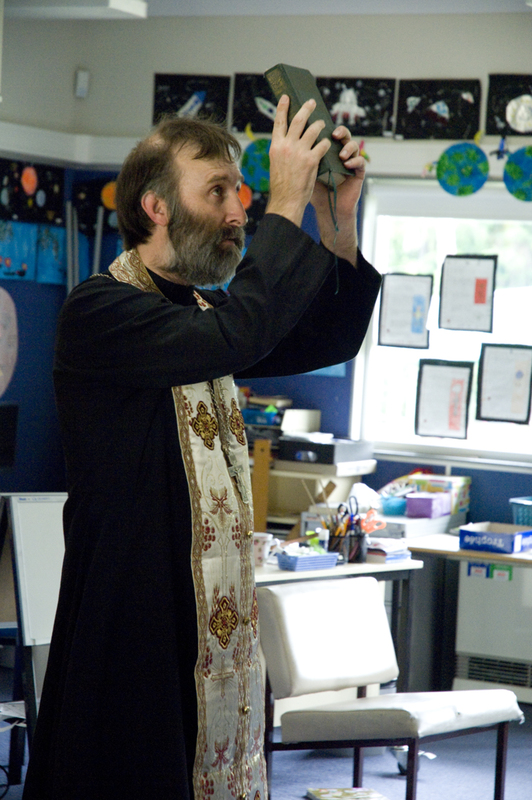 On the following day, Sunday 20 November, Father James served a moleben “At the Beginning of the Instruction of Children” at the Hornsby School. He congratulated the Principal, Paul Douriaguine, and all those who had helped him, on having successfully established the school, and for their zealous attention to the education of their children in a Russian Orthodox spirit. 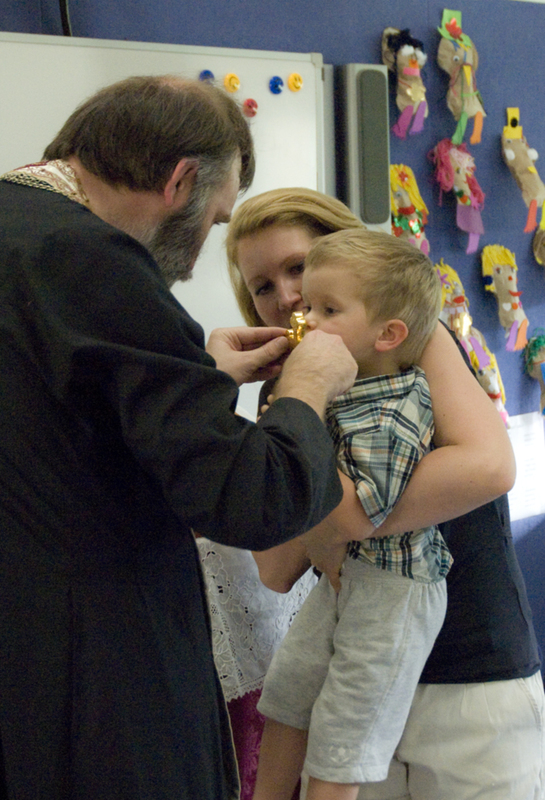 He encouraged the children to be attentive to their lessons in order that they might give joy to their parents and be of service to the Holy Orthodox Church. All present afterwards venerated the school icon of Saint Seraphim of Sarov and received a blessing before proceeding to classes. The school’s constitution stipulates that it will operate in association with and under the patronage of the Gosford parish. 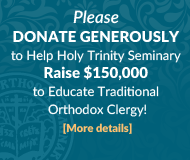 To obtain additional information, call (02) 8064 7434, send an email to info@hornsbyrussianschool.org.au, or visit the website at www.hornsbyrussianschool.org.au.